LOUISVILLE, KY (WAVE) - A Jordan Nwora three-pointer with 9:58 left gave #16 UofL a 59-36 lead over #2 Duke. The Cards were dominating the Blue Devils. That all changed in the final 10 minutes. Duke outscored UofL 35-10 down the stretch to escape the KFC Yum! Center with a win. A Cam Reddish three tied the game at 69 with 1:29 left, and then he added two free throws with :14 left to give the Blue Devils a 71-69 lead. UofL had one final possession, but Christen Cunningham’s shot in the lane bounced off and Zion Williamson came up with the rebound. Williamson finished with 27 points and 12 rebounds. Nwora lead UofL with 23 and 12 boards. 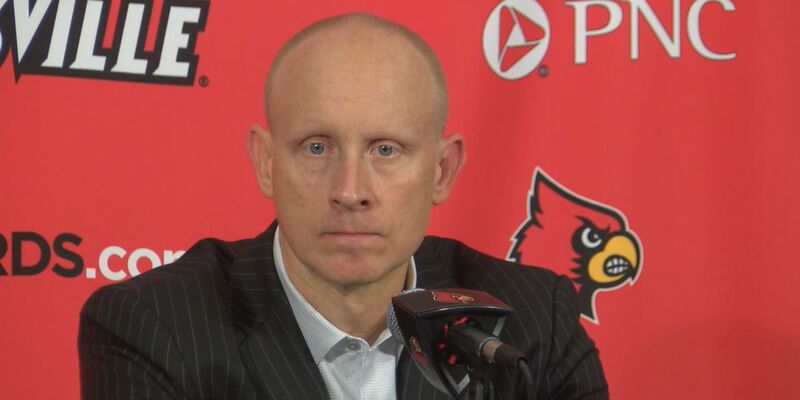 UofL turned the ball over 17 times, giving Duke a chance to get back in the game. Duke improves to 22-2, 10-1 in the ACC. The Cards fall to 17-8, 8-4 in the league. They host Clemson (15-8, 5-5) on Saturday at 12 p.m.